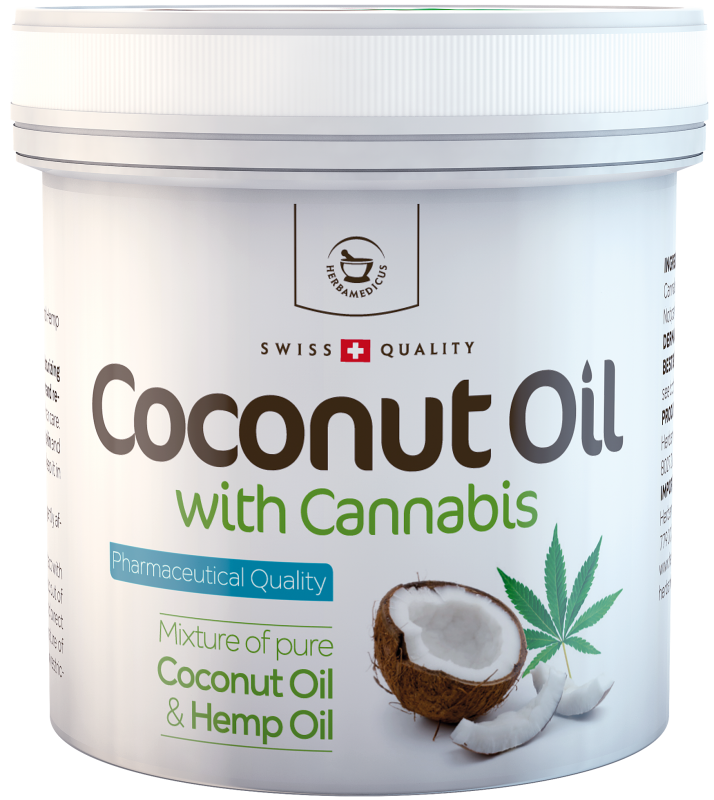 Unique mixture of pure Coconut oil from Phillipines and Hemp (Canabis Sativa) oil. The Coconut oil is well known for hydrating and moisturizing capabilities. It is especially suitable for skin nutrition and regeneration, makeup remover, relaxing massage and hair care. The Coconut oil is rich of lauric acid, capric acid and caprylic acid, that have antimicrobial, antioxidant, anti-fungal and antibacterial properties. The Hemp oil is very effective for dry and sensitive skin and various skin problems. It soothes the skin, helps keeping it in a good condition and reduces irritation. It is also suitable for dry and sensitive skin. The oil is rich in unsaturated fatty acid (linoleic, alpha-linolenic and, especially, gamma-linolenic acid). Method of application: Apply on clean skin 1-3x daily. Rub gently after application. Use as needed.